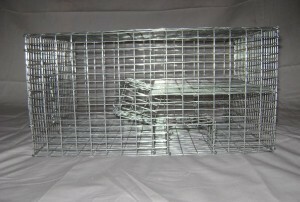 TRAP DESCRIPTION: 16" Wide x 8" Tall x 12" Long trap designed to catch sparrows. Latest design for sparrows which features 2 entrance "funnel" doors through which sparrows will pass but cannot exit. Once they enter the first door or "lobby of the trap, they will find another "funnel" door above them they can enter to reach the seed attractant/bait. The holding area of this trap should contain the most seed; preferably enough to help motivate the target birds to enter and feed till as long as they are contained. The holding area is about 1/2 of the entire trap and features a lockable door for easy bird removal. This design is particularly effective on sparrows because they quickly see the second entrance way after entering the main door and this "escape" puts them at ease so they don't immediately send out a distress call. WHERE TO USE IT: On a flat surface such as a table or platform where the birds have been pre-baited. May be used on the ground as well as a roof or walkway. 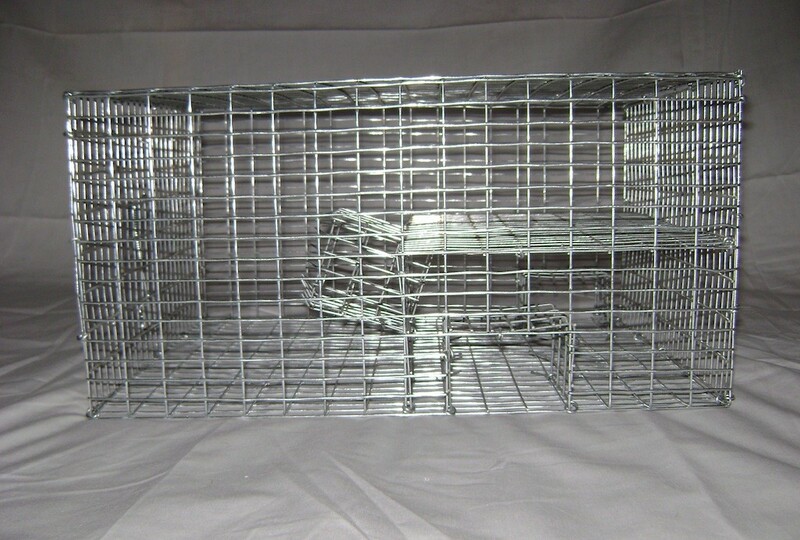 RATE OF APPLICATION: One trap can catch 10 – 20 birds per set.